Source: U.S. Energy Information Administration, based on U.S. Department of Energy 2014 Distributed Wind Market Report. A new study says that as the cost of wind energy continues to drop rapidly, China is emerging as the top global adopter of the new technology, according to a new study from Navigant Research. “Perhaps the most important insight from this analysis is a move toward lower but stable growth rates,” said Roberto Rodriguez Labastida, senior research analyst with Navigant Research. As the cost of wind energy plunges due to technological improvements and efficiencies of scale, many governments are exploring market-oriented policy options that decrease costs for supporting governments, ratepayers, and other stakeholders. Within this changing environment, wind growth in some of the countries with the most installed wind power capacity has stalled while others are warming up for further expansion. 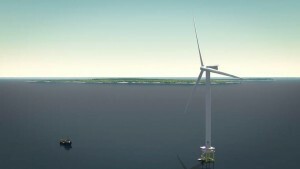 “While the mix of countries seeking to grow wind capacity continues to expand, today, only China is ranked by Navigant Research as Booming, while the United States, India, and Germany are categorized as Outperformers, and 21 and 17 countries, respectively, are classified as Growing or Stalled,” said Labastida. The increased depth of the global wind energy market is expected to provide the industry some stability, as it will be less dependent on the policy of individual countries, according to the report. However, resulting market fragmentation means that manufacturers and developers must be flexible, adapting their skills to work in different environments, in order to thrive. The report, Global Wind Energy Policy Update, examines the strengths and weaknesses of the wind policy regimes across 42 countries based on an analysis of key policy, economic, and structural factors. Countries are rated on four criteria: policy stability, past performance, sector potential, and economic forecast.